Two of Greece’s gorges have made it to the list of Telegraph’s Seven of Europe’s most extraordinary gorges. We present you with some of the most dramatic and inspiring landscapes which you can discover on your next holiday in Greece. 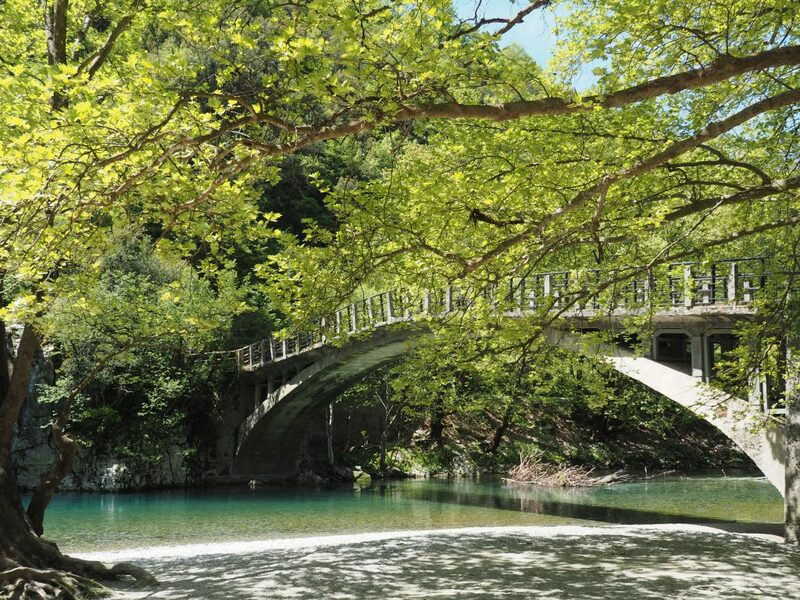 Lousios Gorge is a gem of the Peloponnese, a destination steeped in historical and religious importance. Often referred to as the Mount Athos of the Peloponnese, it is home to monasteries protected by the Greek Ministry of Culture. Named after the Lousios River, it is here that newborn Zeus was bathed by the nymphs Neda, Agno and Theisoa. The area is a natural wonderland where guests can explore the natural flora and fauna. Lined with oaks, laurels, palms and olive trees — the landscape is truly inspiring. There are various starting points to the hiking route which commence from Dimitsana, Ai-Giannis, Moni Prodromou, Elliniko and Ancient Gortyna. The Samaria Gorge is one of Crete’s major tourist attractions and a UNESCO World Biosphere Reserve. This 16-kilometre gorge is situated in Chania in southwest Crete and is the longest gorge in Europe. The trail is open from May to October and thousands of visitors take to the paths every year. The hike through the gorge is quite a challenge and isn’t for the fainthearted as it usually takes between four to seven hours to complete. The beginning of the route is quite steep (1,230 meters) and then leads downhill through the forests of ancient cypresses and pine trees. It ends at the village of Agia Roumeli with stunning views of the Libyan Sea. Zagoria is an area in Epirus, in northwestern Greece. 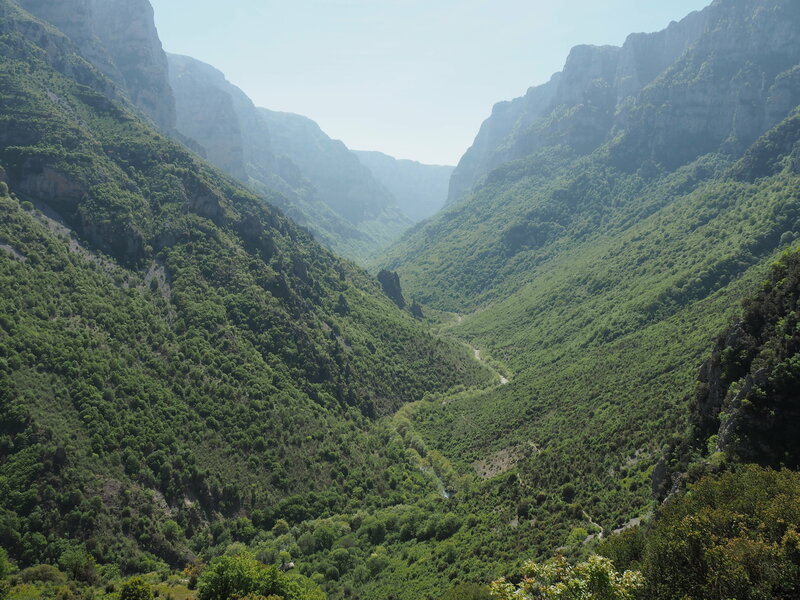 Here, on the border with Albania is the stunning Vikos Gorge. It has been listed in the Guinness Book of Records as the deepest gorge in the world, in relation to its length. 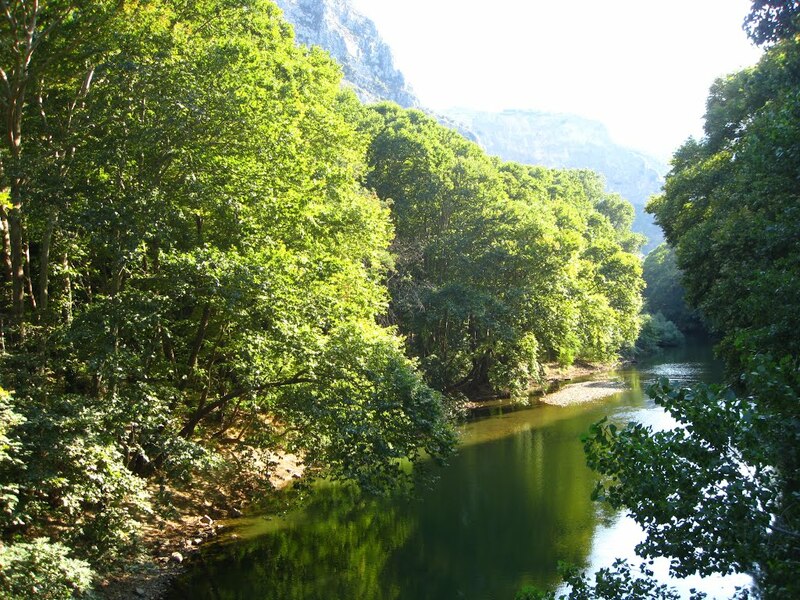 Established as a National Park in 1973, the Vikos Gorge stretches from Monodendri and Koukouli villages and all the way up to Kleidonia Bridge which was built during the 18th– and 19th-century by traveling builders who worked around the Balkans. Although it is situated in a remote area, the gorge attracts thousands of visitors who want to experience the thrilling adventures possible: mountain biking, rafting, climbing, canoeing and bird watching. The locals are renowned for their herb healing powers and can tell you about their recipes which have been passed down the generations. Legend has it that the Vale of Tempe was formed in the aftermath of an earthquake and the helping hand of god of the sea, Poseidon, who cleaved his trident. Geologists believe that the formation happened during the Quaternary Period which was 2.6 million years ago. 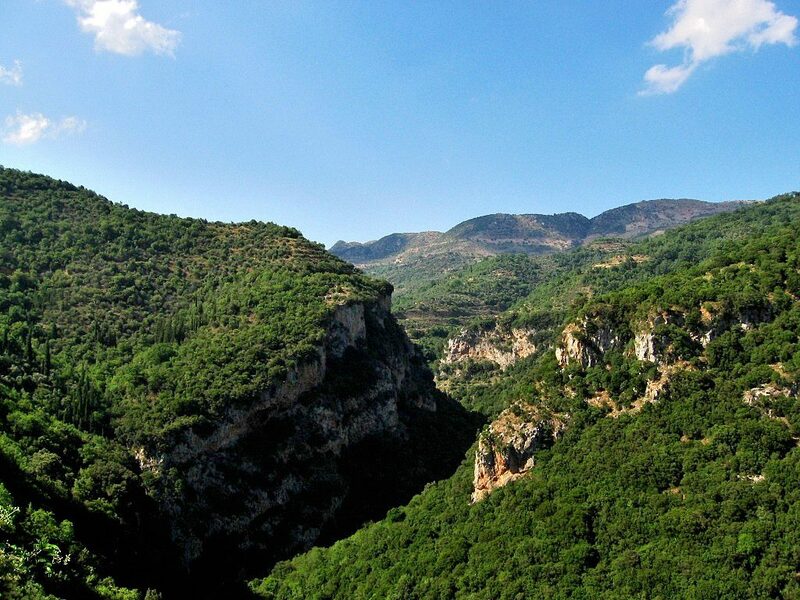 The gorge is set between Olympus and Ossa stretching over a valley 10 kilometers long. Cliffs dominate the views and rise over 500 meters. 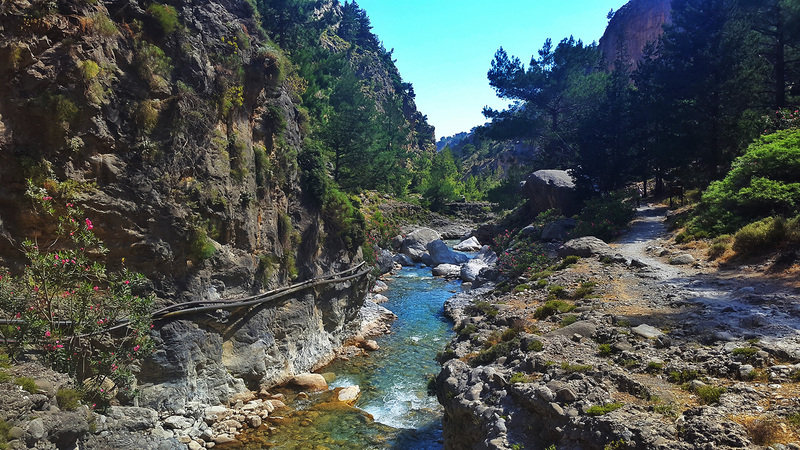 The Pineios River flows through the mountains out towards the Aegean Sea. During the ancient times, Tempe was dedicated to the cult of Apollo who purified himself in the waters of Pineios to wash away all traces after killing the serpent Python. Greece has a lot to offer to the visitor, from culture to cuisine to adventure packed activities to stunning landscapes and so much more. These are just a few of the amazing gorges in Greece. Have you been to any fantastic gorges around the world?